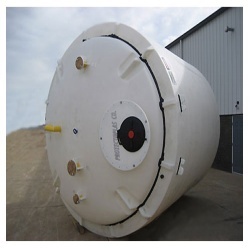 With rich industry experience, we are manufacturing and supplying a wide gamut of Double Walled Tanks. Our quality inspectors are involved in the fabrication purpose to make sure that only quality raw material is used. Further, our clients can avail these at industry leading prices. Double Wall Tank is the industry standard for secondarily-contained aboveground tank design. It is available in horizontal, vertical, and rectangular configurations. We "Destiny Engineering Private Limited" are one of the leading manufacturers and suppliers of a varied range of premium quality, robust Industrial Steel equipment such as Vessel, Boiler Shell and Tanks etc. Our products find varied applications in many heavy engineering and fabrication industries. Our entire product range can be broadly classified into Tanks, Industrial equipment, Steel equipment, Heavy steel fabrication and machining work, Vessel and New items. All our products are well designed in terms of withstanding harsh and high pressure conditions. Under the primary classification of Tanks, our products include Industrial liquid storage tanks, Petroleum tanks and Transformer Tanks. Under the classification of Industrial equipment, our products include Industrial equipment/Machinery. Under the classification of Steel equipment, we have Steel chimneys. The category of Heavy Steel fabrication and machining work includes Radial gates, Steel bridge fabrication, Structural steel fabrication, Turbine casing and Boiler Shells. Under the category of Vessels, we have Pressure reaction vessels and Pressure vessels. Under the final category of New items, our products include Boiler Shells. We are an ISO 9001:2008 certified company with many years of rich industrial experience to our credit. We are well equipped with a state-of-the-art manufacturing unit comprising latest technological equipment and modern machinery to cater to the emerging market demands. Also, we own an in-house machine shop which comprises of a weld and press shop and undertakes all fabrication process, sand blasting and painting of products.